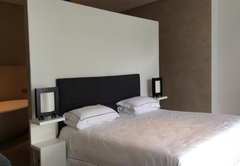 Platinum Boutique Hotel is a Hout Bay boutique hotel providing accommodation in 5 guest rooms for tourists visiting the Atlantic Seaboard region. 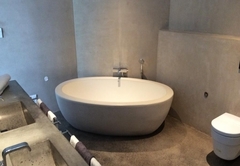 Platinum Boutique Hotel is a Bauhaus inspired boutique hotel in Cape Town. 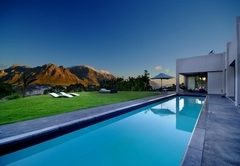 Set high above the magnificent Hout Bay Valley, this modern architecture lifestyle retreat offers luxury accommodation on a small mountain plateau. 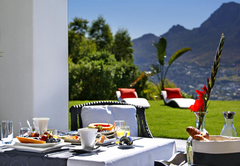 Platinum Boutique Hotel and its opulent gardens are surrounded by the Table Mountain Nature Reserve, famous Chapman's Peak and the Atlantic Ocean. The sea and mountain views are simply stunning. 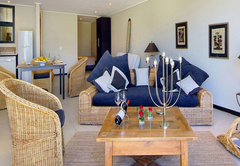 Six luxurious units accommodate demanding guests of all budgets. 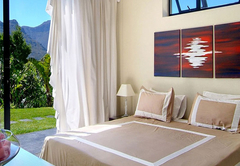 Four Pool Suites offer a beautiful view over the lush gardens and Hout Bay Valley. Cape Town’s most beautiful beaches are just around the corner. 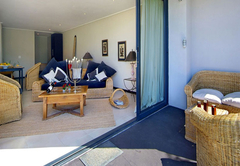 Llandudno and Sandy Bay are just 5 minutes away. Long Beach is a 25-minute drive via scenic Chapman’s Peak Drive. 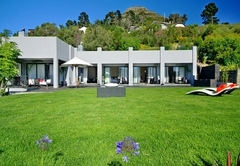 Camps Bay, with its many restaurants and night life, is a 15 minute drive away. 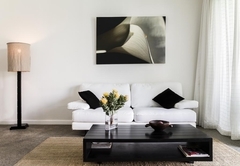 Come to relax and soothe your soul or make use of platinum guesthouses central Cape Town location and take day trips to beautiful beaches, vineyards and other Western Cape attractions. 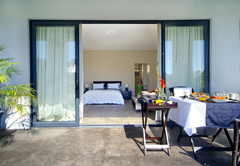 The Pool Suite units are located on the upper garden level and feature sliding floor-to-ceiling panorama doors and queen-size beds. 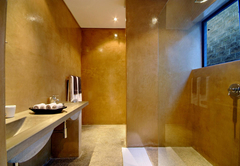 Bathrooms feature chic concrete sinks and glass walk-in showers. 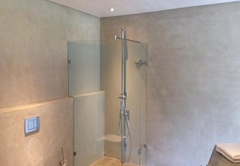 All units have hair dryers, a safe and a coffee machine. 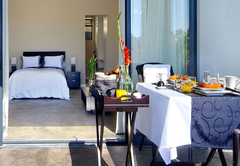 Response timePlatinum Boutique Hotel typically responds to requests in 5-10 minutes.